How to Fix YouTube Black Screen Error for Normally Watching YouTube Videos? Q: How to fix black screen on YouTube? Hello when ever I go to YouTube, it doesn't load video and it just stays black unless I refresh, this is annoying and I am wondering how to fix it, and what causes it. Q: How to get rid of YouTube video black screen? Please guys someone help me with this! I searched online for an hour now and they told me to download some extensions and I did but all I ever got was pop ups! Someone please help I think I may have caused a virus in my computer! In light of so many YouTubers have experienced or may encounter the YouTube black screen error when enjoying YouTube videos, this post will gather many online resources, briefly list the possible reasons and some feasible solutions to remedy/fix YouTube Black Screen error so that you can view the YouTube videos as usual. WinX YouTube Downloader [100% clean freeware]: A totally free tool to help you get rid of YouTube black screen problem when you are eager to watch some YouTube videos while it shows a black box, by downloading the YouTube online movie/music video to native hard drive for offline playback on Windows (10) PC, as well as iPhone iPad Android in about 30 seconds. Better still, it's been updated recently to support Dailymotion, Vevo, Facebook, Pandora, CBS etc. over 300 video sharing sites. Just get it to have a stunning try now! Solution: Refresh the YouTube video page or restart the browser (open up Safe Mode). 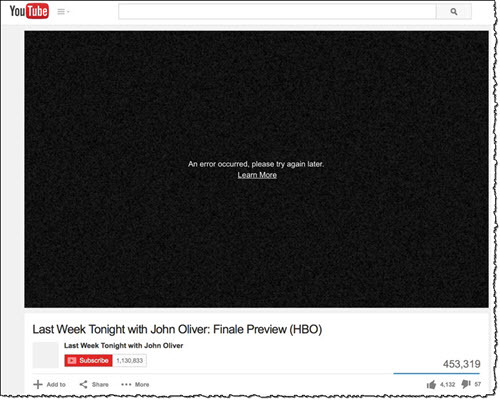 Refreshing web page fixes many YouTube not responding issues by restoring the browser to its default state. This is the most common reason of YouTube black screen issue. Since the browser memory is full of cache objects, it cannot play YouTube video normally, not to mention open 5-6 videos at a time. Solution: Just simply clear the browser data, shut down browser and open the website again. YouTube black screen will no longer here. Some added toolbar and anti-virus add-ons like ad-blocker are known to cause YouTube black screen issue, especially on Firefox. Adobe Flash Player is another common bug led to YouTube video black screen, follow those troubleshooting steps to throw this problem away. * Uninstall the current Adobe Flash Player (also alike ones line above mentioned Shockwave/Silverlight) and download the latest version to install on your computer. * Disable the flash/graphics hardware acceleration by right clicking the video area, selecting Setting option to unselect "Enable hardware acceleration". YouTube black screen matter being solved, you can achieve the best YouTube video audio enjoyment! If you'd like to bring YouTube media offline on the move, WinX HD Video Converter Deluxe can do you a great favor, which is all-in-one solution as a SD/HD/4K/8K YouTube video downloader, YouTube video converter, photo slideshow maker, and video editor for editing video to best size for YouTube uploading. 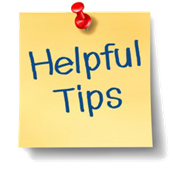 Tip: Still have trouble on how to fix YouTube black screen problem on any Windows (10) or Mac based browers, just go to YouTube help forum or corresponding browser support page like Firefox support to search useful replied, or ask for help. You can also feel free to Mail us .